No species of grebe is known to have inhabited the Mascarenes. The supposed extinct species Podiceps gadowi is based on a mis-identified bone of a wader. It is now difficult to ascertain the former diversity and abundance of seabirds. Early observers report large breeding colonies of various species, particularly on the islets around Mauritius and Rodrigues, but today many species are locally extinct or comprise non-breeding migrants. Furthermore, some very distinct but enigmatic species are known from just a few sightings and even fewer specimens. At least one taxon, a large undescribed Pterodroma sp. from Rodrigues has become extinct in recent times. The Réunion Black Petrel, Pseudobulweria atterima has only been seen on a few occasions and it was not until the late 1990s that an exhausted but live specimen was photographed; they are assumed to breed far inland, probably in the mountains, but to date their nesting sites have not been found. Another uncommon petrel Barau’s petrel, Pterodroma baraui, is a nocturnal species breeding on Réunion and perhaps Rodrigues in the past, and a rare vagrant to Mauritius. 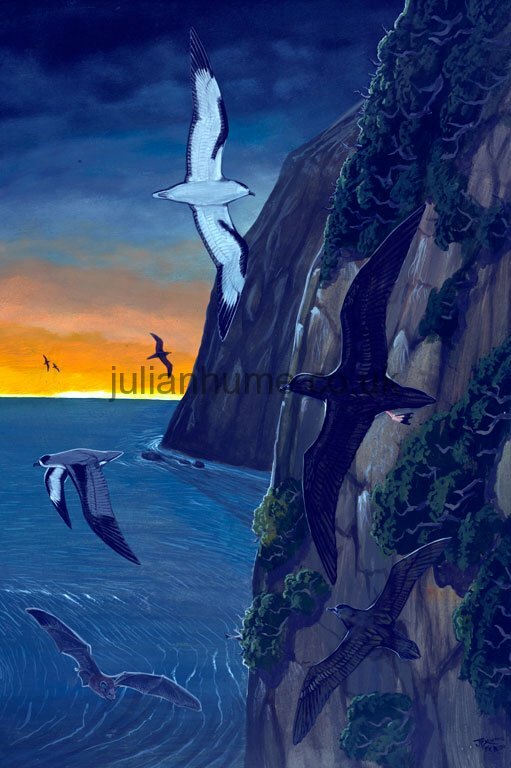 The northern islets off Mauritius, and Round Island in particular, have remained a sanctuary for petrels and the Trinidade Petrel Pterodroma arminjoniana (pending DNA studies) may have been a recent colonist. Two widespread shearwaters nested on Mauritius and Réunion, Audubon’s shearwater Puffinus iherminieri, which is no longer resident, and the wedge-tailed shearwater P. pacificus, which is still common, and a recent record of the short-tailed shearwater Puffinus tenuirostris was obtained from Rodrigues. Petrels have always been considered fair game to mariners and their habit of nesting in burrows has made them extremely vulnerable to egg and chick predation by man and introduced predators, particularly rats and cats. Two species are known from the Mascarenes, the red-tailed tropic bird Phaethon rubricauda, and white-tailed tropic bird P. lepturus. 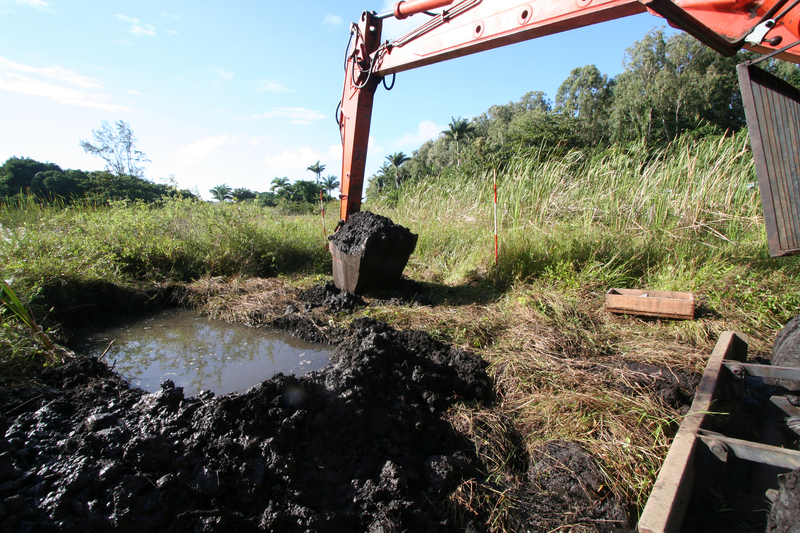 They remain fairly common on the Mascarenes but suitable nesting habitat has been reduced. They are abundant on Round Island, north of Mauritius, and nest successfully inland on Réunion and probably Mauritius and Rodrigues as well. Although rare, they still inhabit the islets within the lagoon surrounding Rodrigues and regularly get trapped in the caverns on the Plaine Corail, which they presumably enter to seek potential breeding sites. Boobies breed on many island archipelagos in the Indian and Pacific Oceans. 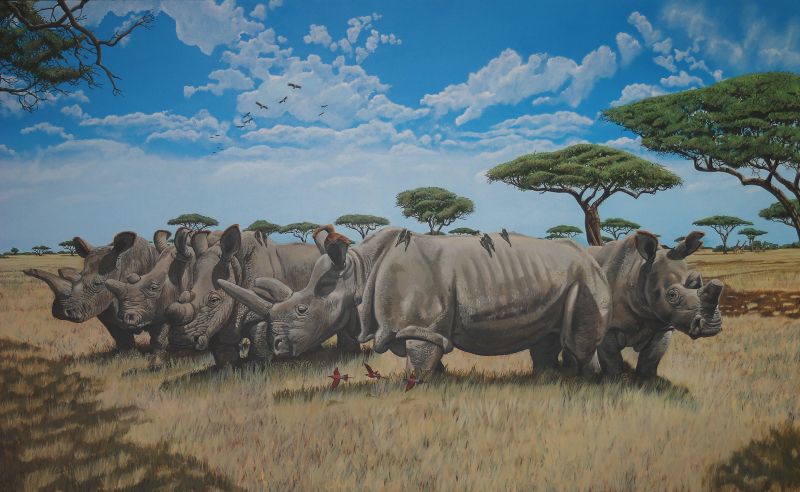 At least 3 species once inhabited the Mascarenes, one confirmed by the fossil record and all by historical accounts. 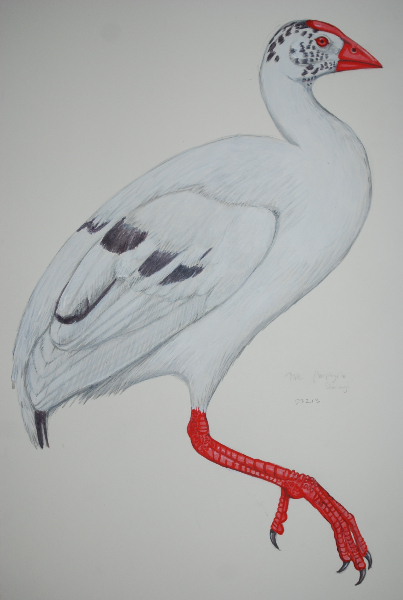 Bourne confirmed the presence of Abbott’s booby Papasula abbottii on Mauritius from fossil material collected in the Mare aux Songes and early accounts describe them from Mauritius and Rodrigues. This species is now only known to occur on Christmas Island. The red-footed booby, Sula sula, is resident on Mauritius but probably never bred there, whilst the masked booby, S. dactylatra, still breeds on Serpent Island. The islets off Rodrigues, particularly Ile aux Fregate, once harboured large colonies of boobies and at least 2 species were resident breeders. They were mentioned by a number of observers, including Pingré in 1761, who saw P. abbottii for the last time. The other species, dark phase red-footed boobys Sula sula, survived until 1916. Boobies were hunted for the feather trade, meat and eggs and were quickly eliminated from the mainland and most of the offshore islands. Anhingas are mentioned here merely for completeness, as they are now known not to occur on the Mascarenes. Fragmentary skeletal material obtained from the Mare aux Songes was mis-identified as an endemic anhinga, Anhinga (Plotus) nanus, related to the Madagascar species A. rufa. However, Olson re-examined the material and concluded that the bones were referable to the cormorant Phalacrocorax africanus. Cormorants were reported on Réunion during the early years of settlement; Dubois in 1674 and Feuilley in 1705, gave good descriptions. They were encountered on the lakes and when young, found reasonably good to eat. They were not recorded again and presumably died out in the early 18th century. As confirmed by Olson in 1975, they also occurred on Mauritius but were never mentioned by early mariners. The Mauritius skeletal material is identical to the reed cormorant Phalacrocorax africanus, a wide ranging African species that is represented on Madagascar by the race pictilis. Frigate-birds have a wide Indo-Pacific distribution and occurred on oceanic islands throughout the Indian Ocean. Two species are thought to have once bred on the Mascarenes, the greater frigate-bird Fregata minor and the lesser frigate-bird F. ariel. They are generally associated with seabird colonies and nest amongst other species. On Mauritius, they were once resident breeders and appear, along with the dodo, in the famous engraving depicting Dutch activities ashore in 1598. 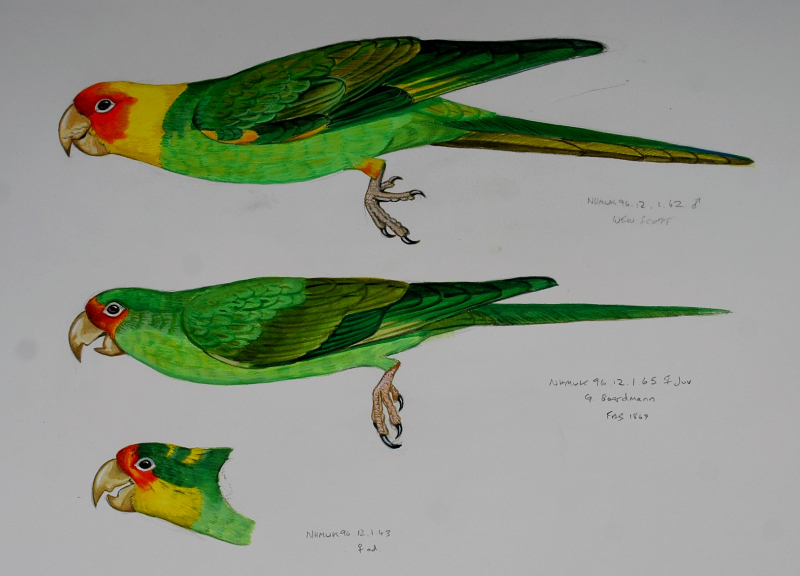 They had all but disappeared by the 1850s; the last confirmed sightings were on Round Island. On Rodrigues, frigates occurred on many of the islets within the lagoon; early observers reported them as common. It appears however, that they only bred on Ile aux Fregate. They had probably ceased to breed on Rodrigues by c.1850 and were considered rare in 1916, but they do, however, turn up as rare vagrants within the Mascarenes. Early travelers to the Mascarenes mentioned the presence of a number of herons and bone remains confirm that 3 endemic species once inhabited the islands. However, the written accounts are extremely vague and it is very difficult to interpret the descriptions. The genus Nycticorax (night herons) gave rise to 3 endemic Mascarene species and although they were still volant when hard pressed, the Mauritian and Rodrigues birds had ‘behaviorally’ become flightless with corresponding reduced pectoral elements. The tarsus of the Mauritian and Rodrigues forms are particularly robust, a probable adaptation for a terrestrial mode of life. The Mauritian night heron Nycticorax mauritianus was not mentioned positively in any early account and, therefore, it is difficult to determine when they became extinct. Leguat’s mention of ‘Bitterns’ in 1693 may have been referable to them, and it is generally assumed that the birds had disappeared shortly after this date. Sieur Dubois in 1674 mentioned a heron from Réunion Nycticorax duboisi, a species now confirmed by skeletal remains, but appears to have described a juvenile. This was the largest Mascarene species, but it showed no reduction in its wing elements, unlike the other Mascarene species. Herons were not mentioned again after Dubois’s account. 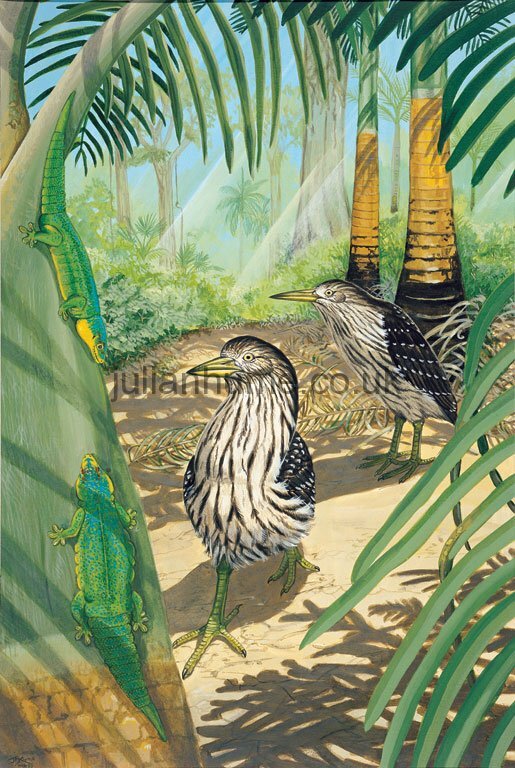 On Rodrigues, the French Huguenot refugee Francois Leguat described the difficulty in preventing the night herons from snatching and devouring the day geckos Phelsuma edwardnewtoni once the lizards had accidentally been knocked out of the palm trees. This preventative action was taken because the geckos had become regular and favourite visitors to Leguat’s table during meal times. The Rodrigues night heron Nycticorax megalocephalus was a robust species, with a stout, straight bill and short strong legs. During the Transit of Venus expedition in 1761-3, the astronomer Alexandre-Gul Pingré made a detailed survey of the Rodrigues fauna, but he failed to mention the herons. They may well have become extinct by the time of his visit. Why the night herons died out so quickly is now very difficult to determine. A combination of habitat loss, introduced animals, particularly cats, and perhaps hunting by man were probably responsible. Dimorphic egrets Egretta dimorpha, a species common on Madagascar and vagrant to other Indian Ocean Islands, once occurred on Mauritius and Réunion. Willem van West-Zanen mentioned them in 1602 on Mauritius, whilst Dubois in 1674 and Feuilley in 1705 described them on Réunion. They seem to have disappeared at the same time as the night herons, presumably for the same reasons. The green-backed heron Butorides striatus is resident on all of the Mascarene Islands, and a number of races are described from other Indian Ocean island groups. They appear to be of the Javan race and therefore, may be a recent immigrant. During the early years of occupation, flamingos were a resident breeding species on Mauritius and Réunion with stragglers occasionally reaching Rodrigues. Fossil remains have been recovered from the Mare aux Songes, Mauritius and Marais de l’Ermitage, Réunion, which include juvenile specimens. The distal end of a tarsometatarsus, labelled as belonging to an extinct rail, exhibits a healed fracture, implying that due to the lack of predators, a flamingo could break its leg and potentially recover. Flamingos originally numbered many thousands and were still considered common during the mid 18th century, but like all waterfowl, they were systematically hunted for food by man. They had completely disappeared/dispersed from Mauritius by c.1770 and from Réunion by c.1730. An enigmatic and hypothetical species, the Geant, has attracted much literary argument that remains to be resolved. 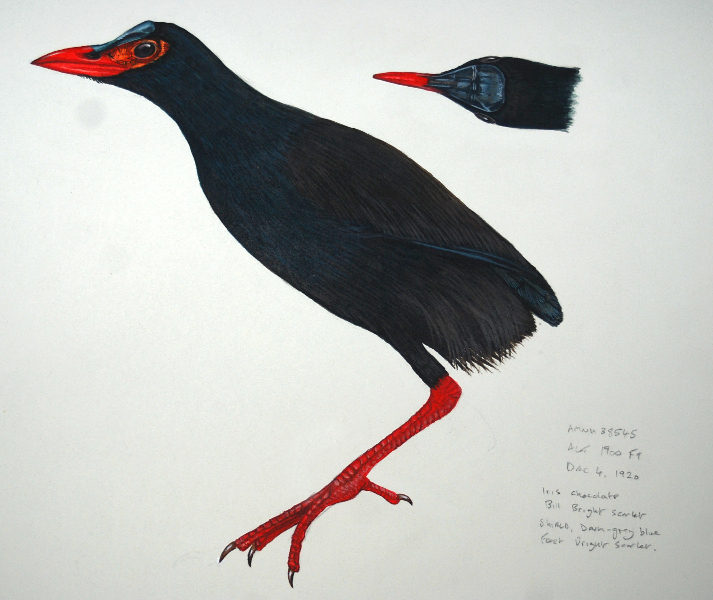 This bird was considered to be a large rail and, in reference to its size, Schlegel in 1866 stated: ‘Seems to represent the Crane-type among Waterhens.’ The basis for the Geant’s existence stems from the 1708 account of Francois Leguat, who described a bird the height of a man, with goose-sized body, long neck and legs and goose-like but with a more pointed bill. He saw one on Rodrigues in 1691-3 and wrote about it 16 years later. Subsequently, the Geant was described and placed amongst Rallidae and given the name Leguatia gigantia. Rothschild and Hachisuka substantiated the existence of the Geant, incorporating lavish colour reproductions into their works. North-Coombes in 1983 provided further evidence in the form of historical accounts. However, Leguat also mentions a rose-coloured underwing, an important diagnostic character. No rail is known to have any red under the wing but flamingos certainly do. 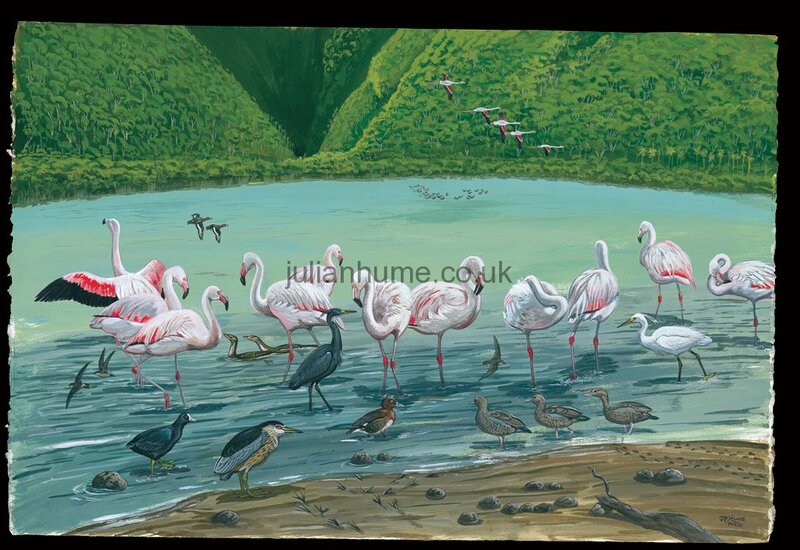 Was it a flamingo that Leguat had seen? Leguat’s description of a goose-like bill has always provided evidence supporting the Geant’s distinctiveness – how could he confuse the down-curved bill of a flamingo with that of a goose. Leguat also borrowed an old drawing of a bird termed ‘Avis indica’ from the work of Collaert, which fits well with his description and added it to his book. This picture, however, originated from an as yet undetermined rail-like bird from India, nothing to do with the Mascarenes, and perhaps time and lapse of memory were key factors in his final description. Vagrant flamingos sporadically made their way to Rodrigues and, with no evidence to the contrary, it seems probable that it was this bird that Leguat had seen. More speculation, assumption and mis-interpretation has been made about a bird known as the solitaire of Réunion than any other, save the dodo of Mauritius. Detailed reports of the solitaire, made during the 17th and early 18th century from Réunion Island, describe a large white bird that could be caught easily and lived alone in the mountains. Subsequently, many authors associated the solitaire with some paintings by two Dutch artists, Pieter Holsteyn II and Pieter Withoos, which represented white dodos. Without corroboration from any hard evidence, therefore, accounts of the solitaire merged with illustrations of the white dodo, which led to the Réunion white dodo (Raphus solitarius) becoming a scientific reality. However, a painting dated 1611 of a white dodo from Mauritius by Roelant Savery, the most famous of dodo artists, was in fact the founding illustration for all of the white dodo paintings. The provenance, therefore, of this white dodo was Mauritius and not Réunion. Furthermore, the discovery of skeletal remains by Mourer-Chauviré and her co-workers verifies that the solitaire was in fact an ibis, a bird that better corresponds with the early accounts. Morphological details suggest that it is closely related to the sacred ibis T. aethiopicus or straw-necked ibis T. spinicollis. The solitaire, now Threskiornis solitarius, gradually retreated into the remote mountaintops as Réunion became more and the last account to refer to them is in 1708; they must have died out shortly afterwards. Ducks and geese were almost exclusively mentioned as being good to eat and easy to catch but with few descriptive details. 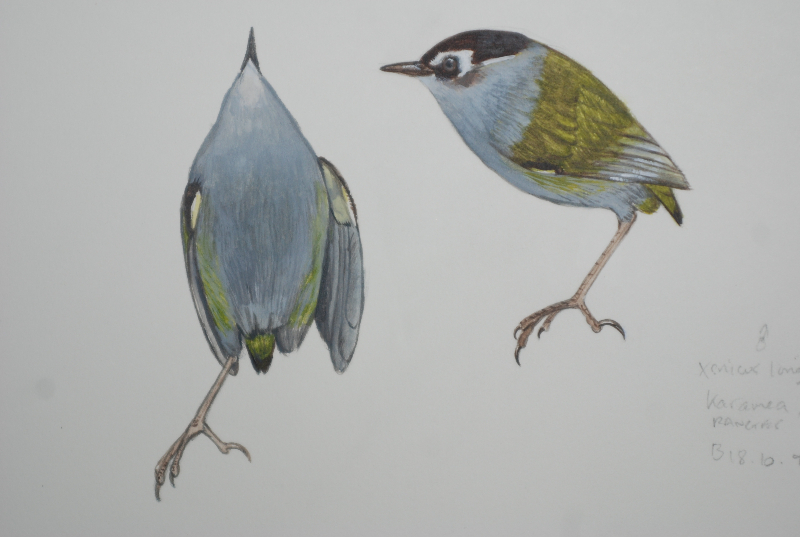 Fossil material has revealed the presence of a small teal Anas theodori, most similar to the grey teal Anas gibberifrons, inhabiting Mauritius and Réunion. A. theodori was probably quite capable of flying between the islands and this species is not specifically or subspecifically differentiated. 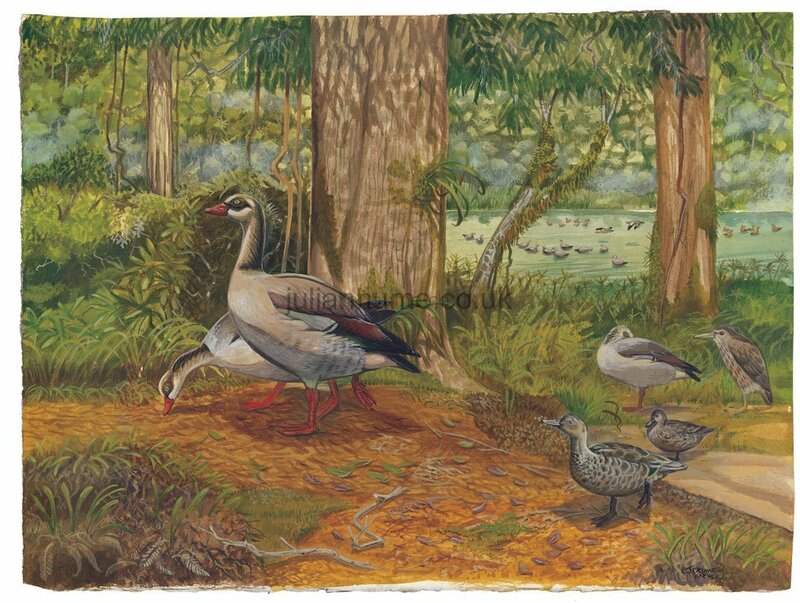 The Egyptian goose Alopochen aegyptiacus colonised Mauritius and Réunion and evolved into two species, Alopochen mauritianus (originally Sarcidiornis) on Mauritius, and Alopochen kervazoi on Réunion; the last-named has only been recently confirmed in the fossil record. The skeletal elements of A. kervazoi differ from A. aegyptiacus by a more robust tarsus and short, deep bill. On Mauritius, A. mauritianus was mentioned in 1681 as inhabiting the woods and dry ponds. This habitat preference is interestingly convergent with the flightless and semi-flightless extinct geese and ducks from the Hawaiian Islands. Perhaps due to a scarcity of lakes and ponds, many Hawaiian anatiids were forest inhabitants. Bernardin in 1687 and Boucher in 1710 both mention ‘sarcelles and canards’ on Réunion, identifying two species from their observations. Mourer-Chauviré found the fossil remains of an Aythya sp., a genus present on Madagascar, Southeast Asia and Australia, as well as Anas theodori. The Madagascar teal Aythya innotata is most similar to the Réunion Aythya species so it may well have been this species that once occurred along with Anas theodori on Réunion. It is hardly surprising that early settlers rapidly hunted out ‘tame’ ducks and geese and they became extinct on Mauritius and Réunion very early in the islands’ history, sometime during the 1690s. Although no endemic anatids are known, Rodrigues may have had waterfowl, possibly vagrant, at one time. An account by Bouwer, sailing with the fleet under Wolfert Harmenszoon in 1601, reveal he landed on Rodrigues and collected some wildgeese. The whimbrel Numenius phaeopus is a common migrant to the Mascarenes, more frequent than the larger but similar curlew N. arquata. Both species appear to have been regularly hunted, the whimbrel particularly so. An ulna was described by Newton & Gadow in 1893 as belonging to an extinct Mauritian grebe Podiceps sp. Hachisuka in 1953 gave a new taxon, P. gadowi, in honour of Hans Gadow. 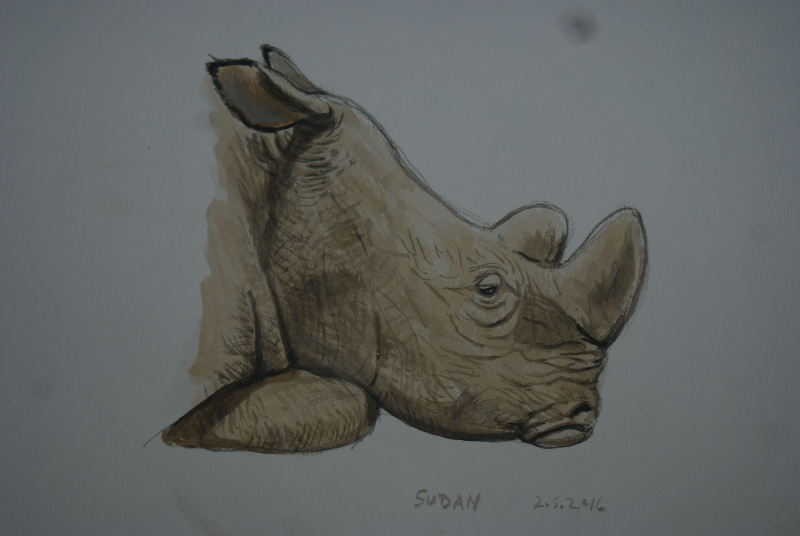 Greenway in 1958 was skeptical of the distinctiveness of this species as the measurements of the ulna fall well within the range of variation in the African species P. auritus. All were incorrect, however, as the bone undoubtedly belongs to the whimbrel N. phaeopus.